As Nigerians on Saturday decide their Governors and state house of assembly members, leader of the Indigenous People of Biafra, IPOB, Nnamdi Kanu has told Biafrans who to vote. 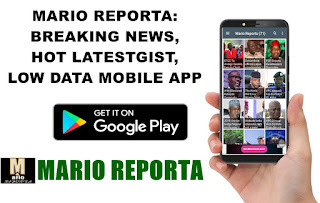 Kanu in a live broadcast on Friday monitored by Mario Reporta lamenting about military presence in Rivers state described APC leader in Rivers, Rotimi Amaechi as an enemy of Biafra. According to him, soldiers are heavily present in Rivers State for the election in order to orchestrate the removal of Governor Nyesom Wike. Kanu further urged Igbos to vote for Wike , Ikpeazu and other South-South Governors. Kanu said: “The unfolding war of election being waged by Fulani Janjaweed Nigerian military against the people of southern Biafra all in a bid to recover Gov. Wike and other patriotic governors across Biafralanf. “ Nigerian Army has killed dozens of Biafran people and taken over Okirika, Brass, Ogbia, Yenegoa, Samgbama and Southern Ijaw! “The Nigerian army has never fought any war and won it. Ask yourself, if the same enemies are attacking us, why don’t we come together? “If not for Governor Nyesom Wike, Rivers would have been long gone. “I don’t know what have become of our people Obiano is completely mad and recking Anambra state, Ifeanyi Ubah went to Lagos and was campaigning for those that said they would kill us. “But today is the day for our people who are sensible to return those who will make sure our land is not cut off. we must pray and do something by ensuring that all those criminals across Biafraland are not allowed to come to power. “In Imo state, no sensible human should vote for APC and Okorocha son in law, Uche Nwosu. Once you vote them, you are finished because you will be the one crying every day. Now is the time to do something and ensure enemies don’t come back. “We must ensure that Wike remains in power in Rivers, Udom Emmanuel must remain in power in Akwa Ibom. We must support them and other South-South Governors on Saturday. “Ensure the breed of wicked people like Ikpeazu must be removed, all the governors of the South -East must be swept away from office.